It's joked that if you can remember the 1960s, you weren't there. Something similar may apply to Kerry Packer's World Series Cricket. Never has so much cricket talent been assembled in one place. But of the cricket, who holds other than impressions? 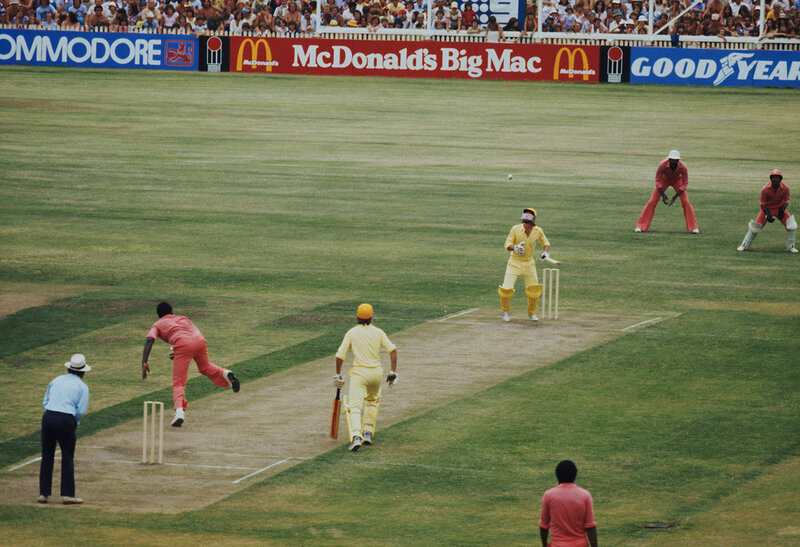 Moments stand out, like Andy Roberts breaking David Hookes' jaw, and Wayne Daniel's last ball six, the West Indies in coral pink and the World in electric blue. The rest is a kaleidoscopic jumble. Paradoxically, the commonest sentiment about WSC is that "the records should be official". In November 2015, Cricket Australia foreshadowed that they would be included in their statistical tabulations. Two years later, they are still not there. Everyone grasps that the 56,126 runs and 2364 wickets were hard won, by dint of the players' uniform excellence. But providing any sort of framework for them has proved harder still. Wisden collapsed everything into 20 pages across two editions in the vicinity of the annual USA v Canada scoreboard; it gave three lines to a game at VFL Park on December 14, 1977 without noting it was the first international played at night. It's arguable, of course, that the salient figures were dollars and cents. But it's surely odd, after 40 years, to have reached such perfect stasis, where everyone agrees about these records that something should be done yet nobody does anything. WSC may here be a victim of jaded perceptions. Its innovation and experimentation has been accentuated to the exclusion of its content. Dwelling on the audacity of the enterprise overlooks that a great deal of the cricket was decidedly "traditional", taking place by day, in white clothing and using red balls. Only one of the five-day "Supertests" and five of the 50-over "International Cup" matches involving the WSC Australians, West Indians and World were played in coloured clothing, and the Australians wore yellow caps because Packer would not condone the use of anything resembling a baggy green. "You've got to earn those, son," he said when it was suggested. And if the cricket could be gladiatorial, the cricketers were expected to mind their ps and qs. "There'll be no swear words," Packer insisted. "These are professionals and they'll behave as professionals - or they're out." Television was the driver here: to WSC's impresario, the quality of Channel Nine's coverage was paramount, and it duly set new standards. Yet WSC can be distinguished very sharply from the cricket manufactured for television in the last decade. Domestic T20 is driven by the telegenia of big hits, with six counters spinning like fruit machines, and ranging devices fetishising distances and details. While Packer's professional troupe made some concessions to spectacle, such as field-restriction circles, the skill it accentuated was fast bowling - relentless fast bowling of the calibre of Roberts, Holding, Garner, Croft, Daniel, Julien, Imran, Procter, Snow, Sarfraz, Le Roux, Rice, Lillee, Pascoe, Walker, Gilmour, Prior, briefly Hadlee, and at the end Thomson. Tailenders found themselves in the firing line for the first time. Helmets were adopted not just for the protection of the batters but of the business. Greatness outed. Greg Chappell made 1416 Supertest runs at 56.6 and Viv Richards 1275 at 55.34; among those who played five matches or more, only two others averaged over 40. Dennis Lillee and Andy Roberts each took 54 limited-overs wickets, at 14 and 15 respectively. WSC was played in three geographic areas, starting its second season in New Zealand and finishing in the Caribbean. Players thoroughly earned their corn. Weekend double-headers were standard; the last five one-day matches were spread across just seven days at venues in three countries; if you were not chosen in the capital cities, the only way to press for selection was by making runs out of town. A satellite competition, the Country Cup, fixtured in regional centres, was WSC's equivalent of first-class cricket - a place to find form, prove fitness and generally to spread goodwill. Again, this was almost entirely played in white clothing; none of it was systematically televised. In the second season, a fourth XI was created, the Cavaliers, captained by Eddie Barlow. Here's an irony: the cricket attraction that portended the game's transformation into a mass-market, telecentric urban spectacle was the last to take cricket to Australia's already neglected smaller cities. Viv Richards made a hundred in Rockhampton; Majid Khan hundreds in Canberra and Mildura; Imran and Procter bowled with scary speed in Orange. Despite sotto voce mutterings about contrivance of results, WSC also rather defied prediction. In 1977-78, the WSC Australians were scheduled to play six Supertests, three against the WSC West Indians, three against the WSC World. The assumption, perhaps, was that the Australians would dominate the West Indians as they had in the Test series two years earlier. In fact, the hosts were twice crushed in three days. The results made it hard to conceive of a World without West Indian reinforcement, so Tony Grieg's team ended up studded with Richards, Greenidge, Lloyd, Roberts, Garner, Fredericks and Daniel. Thus one of WSC's better remembered interludes: the fabled bat-off between Viv and Barry Richards at Gloucester Park in January 1978. In 1978-79, World Series Cricket was geared towards finales in both competitions, WSC World winning the Supertest final, WSC West Indians successfully defending the International Cup; WSC Australians were defeated each time. There were hints of a future shift from longer to shorter forms. 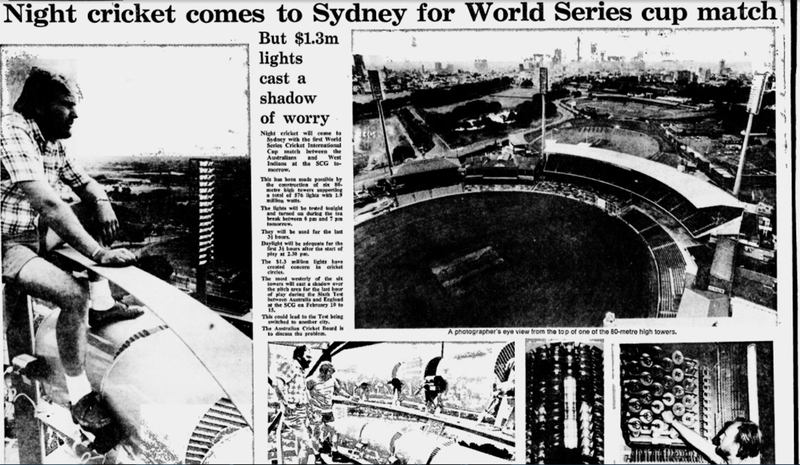 Packer's triumphant coming to the SCG had little to recommend it as cricket - one-sided, three runs an over, 16 overs unused - but 50,000 attended anyway; Barry Richards' superbly skilful Supertest final century ten weeks later was watched by 14,000. 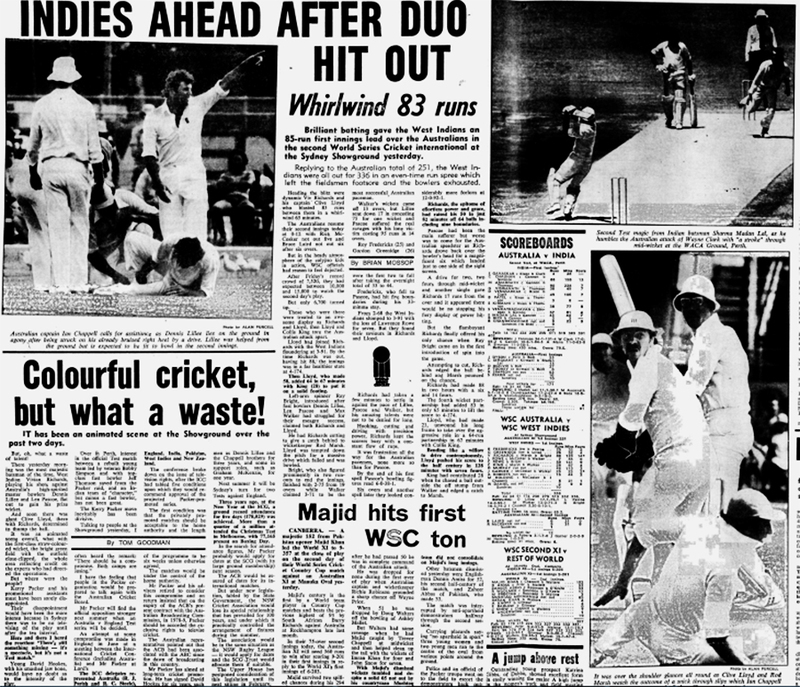 Yet WSC's Caribbean tour was still anchored by five Supertests, and the crowds for the ten one-day matches were poor by comparison, reflecting the players' growing indifference. World Series Cricket then is more often invoked than understood. The consequences of its foreshadowings - the sway of private capital, the imposition of mass-media values - are still being played out. In that way it has retained an uncompromisingly contemporary character. But 40 years after events, the cricket played is overdue recognition as history in its own right.